On December 10, 1872 Jan knocked at Stara Wies Jesuit monastery gate. He entered the Jesuit novitiate. After two-year novitiate, he studied humanities and Philosophy there. Then he went to Cracow for Theology. After finishing his studies, on July 26, 1881 Jan was ordained by Bishop Albin Dunajewski. He was sent to Ternopil Jesuit College. Many years he worked there as an educator for young people. In 1884 he completed the last stage of spiritual formation, i.e. the third probation under the supervision of Father Michal Mycielski SJ. 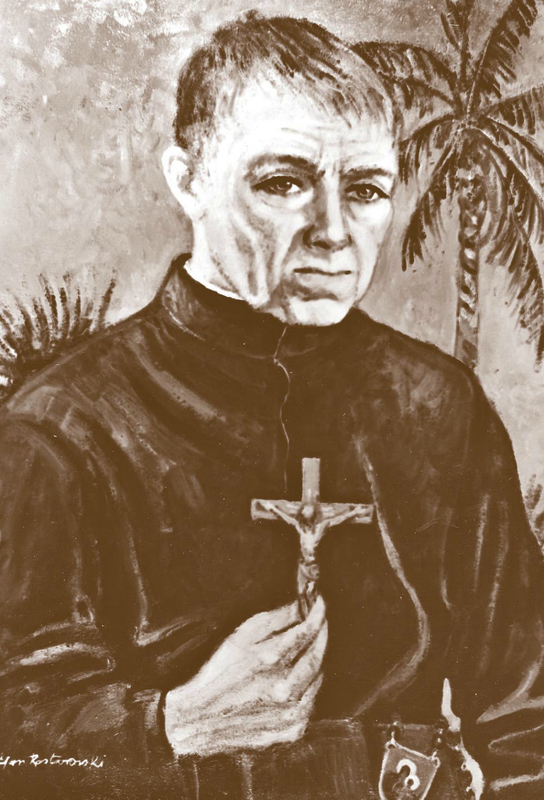 After the final vows, on February 2, 1886 Father Beyzym was sent to the newly established Jesuit boarding school in Chyriv. He spent 10 years there working as a youth educator. Jesuits built Chyriv Educational Institution in the years 1883 - 1886. Janusz Warnecki, a famous actor, a director, a pedagogue and one of the institution former students, wrote in his memories: “it was one of the most modern and innovative at those days. […] The teachers were the graduates of several university departments, let alone Philosophy and Theology, compulsory subjects for every Jesuit priest… There was a huge institutional library there. There were also class libraries, containing manuals, necessary for each class. There were Physics, Chemistry study rooms, a numismatic museum, huge drawing studios with lots of models, statues and patterns. There were Nature and Zoology study rooms, with abundance of exotic flora and fauna species and even live specimen”. In Chyriv Father Beyzym worked also as a teacher. He taught French and Russian there. But to satisfy his natural gifts and abilities he longed for something more than to be only a teacher. Having respect to his pedagogical talents, the Superiors appointed him the Prefect for the institution and after a short time he was appointed the Prefect for the school infirmary. He devoted himself to this duty. His students remembered him being determined, active, smart and Spartan, hardworking and mortified, entirely devoted to his fellow-men. One of the students wrote that they loved Father Beyzym, because “you could see his golden heart through his “tartaric” face. He dedicated himself to his work in the infirmary. He would carry an ill student himself, he would not wait for the servant or nurse, but would go to the store room to bring the beddings “for the patient not to suffer but to go to bed as soon as possible”. He would never lose his serenity and inspiration, even when he was overloaded with work. Young people could see his kind, loving and sensitive heart through his fearsome looks and would cling to him, bestowing on him their friendliness, kindness and loyalty. Father Jan was fond of gardening. He loved growing flowers. He decorated the patients’ rooms with flowers of his own growing. 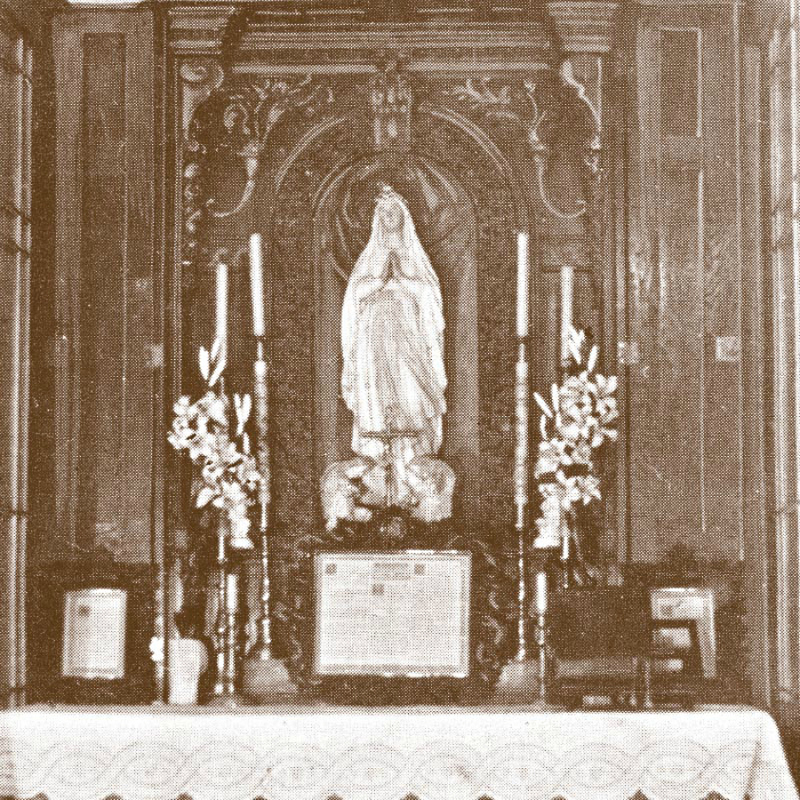 However, the best flowers were for the infirmary altar, where he celebrated the Mass for the ill students.